This off-season is the most fun of any I can remember because of all of the different options teams have at quarterback. Between the free agents and the draft prospects it appears there is going to be a QB carousel like no other that we have seen before. The Bills appear to be set on moving on from Tyrod Taylor. However they have kept him on their roster until they are sure they can do better next year. Here are the Bills QB’s that I see at this point being on their roster. Note I reserve the right to change my opinion at any time. 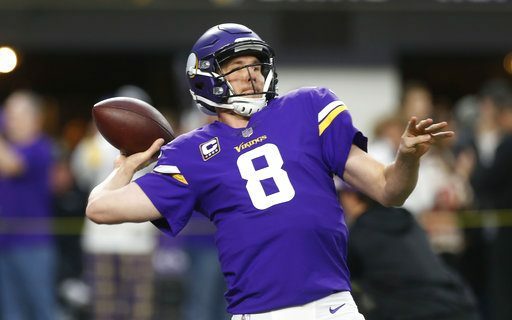 Kirk Cousins– I don’t see the Bills signing Kirk Cousins. Not that they shouldn’t be interested. This year I just don’t think they have the money to commit to the 25-30 million dollars a year it’s going to take to get him. Nick Foles– Philadelphia seems to be asking to steep of a price for him. The Eagles are concerned Carson Wentz won’t be ready for the start of the season so according to Peter King last week they are asking for multiple first round picks. Way too high for Foles. AJ McCarron– the newest free agent will get paid around 60 million dollars over four years. You need to know he’s going to be your franchise QB if you are going to commit this time and money. I’m not willing to go there. I think the Bills will look for a bridge guy and the best guy I see for the Bills is Sam Bradford. I know he has a long injury history but I think this will make his cost reasonable. When healthy two years ago he completed 71 percent of his passes. In terms of pure talent I believe he’s the best of the three QB’s the Vikings are deciding upon. I believe Bradford is the best QB for the least amount of commitment so that’s why I want him as the Bills starting QB next year. 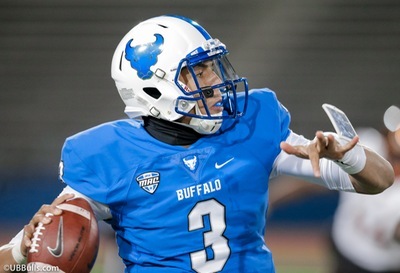 The Bills can still go in the draft and pick up another QB of the future. There are rumors the Bills are trying to trade up into the top 10. These might be true but I wouldn’t do that until I know I can get my guy. Unless you trade for the number one pick in the draft it leaves you open for another team to jump in and grab the QB of your dreams. The Bills most likely QB at this point in the draft looks like Mason Rudolph of Oklahoma State. There’s much to like about this big pocket passer. For one he has shown the ability to throw the deep ball with great accuracy. Bills fans will like that he’s the complete opposite of Tyrod Taylor. By having Bradford on the roster it allows you to bring Rudolph along at his own pace.